The great ones live forever…. 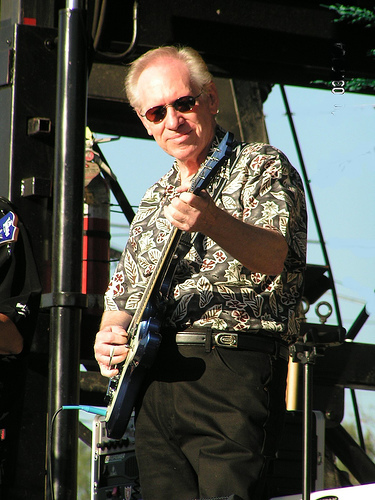 Bob Bogle, lead guitarist for the legendary surf-rock band, The Ventures, lost a battle to leukemia at the age of 75. However, the genesis of surf-rock actually started with the Tacoma, Washington band’s release and hit of Walk, Don’t Run in 1960. 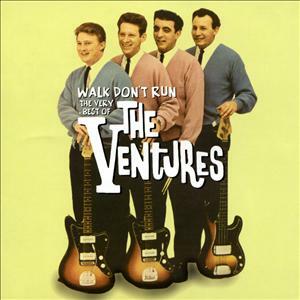 Typical of musical kun-NECK-shuns, Walk, Don’t Run was actually a cover for The Ventures. The song was originally done by the one and only Chet Atkins. One of the bandmembers had been listening to the guitar impresario and it was decided to update Walk, Don’t Run to their signature sound. The rest is history. The Ventures (and Bob Bogle) were signficant influencers to many rock legends to come. In 2008, they were indcuted into the Rock & Roll Hall of Fame. Bob Bogle was too ill to attend. So, a tip of the hat to one of the guitar legends of rock. May he rest in peace.